We live in a restored Queensland colonial home (timber, approx 110 years old), in a semi-rural situation, 5 mins drive from the village of Maleny (pop. 6000) in Queensland. (Maleny is just one hour's drive from Brisbane, Australia's third largest city.) The subtropical climate is especially enjoyable between April and December. 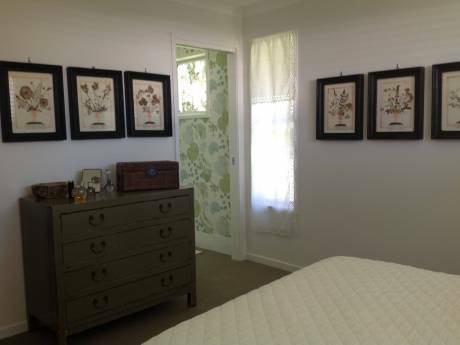 Our home is comfortable, spacious and well-appointed, with polished timber floors, modern kitchen and bathrooms. There are queensize beds in two bedrooms rooms and two single beds in the other. The wide verandahs all around make it ideally suited to outdoor living. We have a creek running through our lush garden and there is an abundance of native birds and other wildlife. A rainforest with walking tracks through it is just 1km away. Our canoe, fishing gear and bikes are available for your use (large lake and bike paths nearby, ocean beaches less than half an hour's drive). We are a retired couple, keen on outdoor activities such as walking, bird watching, bike riding, canoeing, swimming/surfing, tennis..We enjoy reading, music, art, theatre, movies..We love cooking and having friends over for a meal..Norman was a high school art teacher and is still a practising potter (we have a fully established studio at home). Robin taught science in high schools, technical colleges and Universities and also worked as a nutritionist in food regulation. We owned and operated our own pottery and craft gallery in the Sunshine Coast hinterland prior to our retirement. We have lived in cities and rural areas of Australia and have spent many vacations exploring our beautiful country, camping in National Parks. 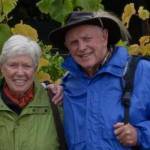 Robin spent two years in Europe in the late sixties, including a few months studying Italian in Perugia. Together with our three children we travelled to Ontario, Canada in 1983, where Norman had a teaching exchange for a year. Our last overseas travel en famille was to Indonesia. Our children are now all adults and pursuing their own travels. We enjoyed serial house exchanges in Europe in 2006 and 2008 (Turkey also) and a short exchange in Toronto Canada in 2010, during the leadup to our daughter's wedding. Our last fabulous European exchange was to Tuscany in 2012, and, closer to home, Napier, New Zealand in 2015. 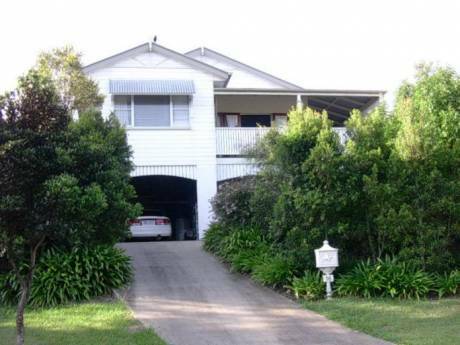 Maleny is picturesque, situated amongst green hills overlooking the magnificent beaches of the Sunshine Coast (30 km). It is renowned for its cultural richness and alternative lifestyle. The area is home to many artists, writers, musicians, other professionals, environmentalists, dairy farmers and produce growers. A strong community spirit exists. The people (especially our neighbours) are generally open, friendly and caring, and the town has the second largest number of co-operatives in the world. Entertainment of a high standard is readily available and very well priced. We have one of the largest film societies in Australia, which offers not only fortnightly screenings but also facilities for wining and dining before the show - a great way for newcomers to meet the locals. For amenities not available locally, we travel to Brisbane by car or train (there is a railway station 10 minutes drive away). From Maleny one can explore at leisure the many and varied delights of the Sunshine Coast and Hinterland and Fraser Island (some of Australia's premier holiday destinations). Our home is also an ideal base for travel to other renowned tourist areas such as the Great Barrier Reef and tropical rainforests of far north Queensland. Sydney is one hour's flight from Brisbane, Melbourne two hours.